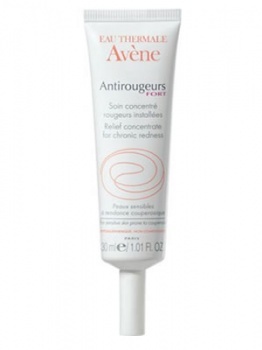 Avene Antirougeurs Fort provides relief for chronic redness. Avene Antirougeurs Fort tones local microcirculation and reduces the appearance of blood vessels. Avene Antirougeurs Fort helps to reduce swelling and with added Shea butter it nourishes the skin. Avene Antirougeurs Fort can be used in conjunction with medical treatment and is paraben and fragrance free. Avene Antirougeurs Fort should be used directly onto localised red patches.